Immediately upon realizing the presence of head lice, treatment should be administered to remove them. Home remedies for head lice removal are safe, effective, and easy to administer. Understanding what hair lice and body lice are helps in recognizing them right away so that they can be exterminated. Also known as pediculosis capitis or, simply, nits, head lice are tiny parasitic insects that live in the scalp, eyelashes, and eyebrows. Body lice and pubic lice are those that live on the skin or in the pubic hairs. 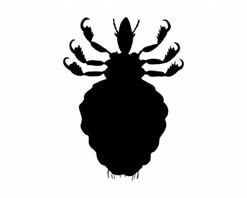 Head lice, body lice and pubic lice all feed on tiny particles of blood in the region where they live on their host and are spread by coming in close proximity with others. Head lice are transferred by close contact with a person who has a lice infestation. It can also be spread by contact with that person’s bedding or clothing. Contrary to popular belief, head lice are not an indication of poor hygiene and they do not carry other diseases. Symptoms experienced by those with hair lice, pubic lice, or body lice are serious itching and the appearance of lice eggs in the hair, which resemble dandruff flakes, but do not fall out of the hair the way that dandruff does. Eggs typically live for a couple of weeks and hair lice can live up to 30 days on their host. When a head lice treatment is not immediately administered to an infestation, a person may also experience hair loss and fever as hair lice multiply and feed off blood in the scalp or skin. Mix a spoonful of ginger in a glass of lemon juice and rub the mixture into hair. Cover hair with a plastic shower cap for at least 8 hours before washing (be advised, however, that lemon juice may lighten the hair’s natural color, especially when exposed to sunlight). Pour olive oil in hair and cover with a shower cap or other plastic cap for 8 hours. The above head lice treatments can also be substituted with petroleum jelly, mayonnaise, oil and vinegar, margarine or fish oil as well as lavender. It is important to use a plastic cap as opposed to a cotton scarf or a hat of another material that lice can cling to or escape from. Most times, one treatment is enough, but in cases of an extreme infestation, a second treatment may be needed. Thoroughly wash the hair after the chosen head lice treatment and comb through it with a small tooth comb, also called a nit comb, to remove dead lice and their eggs. Though head lice are annoying pests and having them sometimes inspires ridicule in others, they are not life threatening. Natural cures and home remedies are the most affordable effective treatment for this problem and can get rid of head lice within a day. After a head lice treatment, it is also advisable to wash all clothing and bed linens to prevent a re-infestation.